Tony took this photo from the chase boat during the third heat of the Solo Distance race at the 2017 US Gondola Nationals. 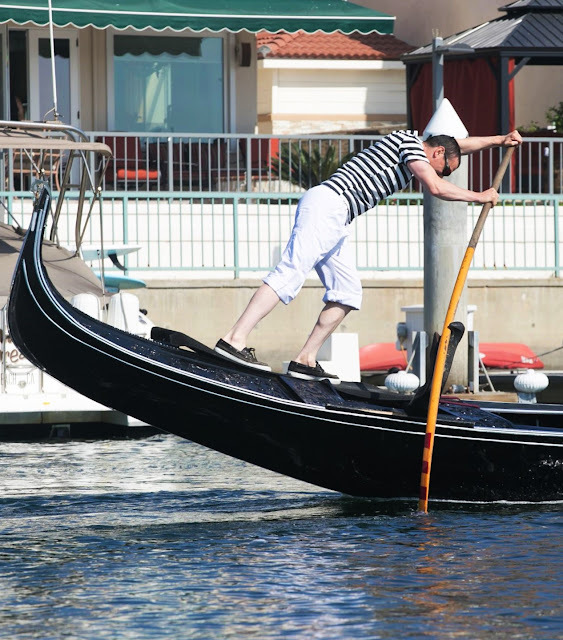 who carve gondola oars design them to be flexed in one direction. Flip one over and row hard on it, and bad things may happen. it's easy to be concerned about that oar shaft snapping.